Opus has for a number of years now been at the forefront of large format limited edition luxury publishing. We continually lead the way and strive to raise the bar on the quality and integrity of how great stories are told in unprecedented ways across a variety of subjects, projects and genre’s. The quality of design, editorial and photographic research are fundamental elements to every Opus produced. This care and attention is matched by the high quality of print production, binding and hand finishing that goes into each and every copy we produce. The newly developed Opus Digital and derivative formats continue this special Opus tradition that creates a unique offering. 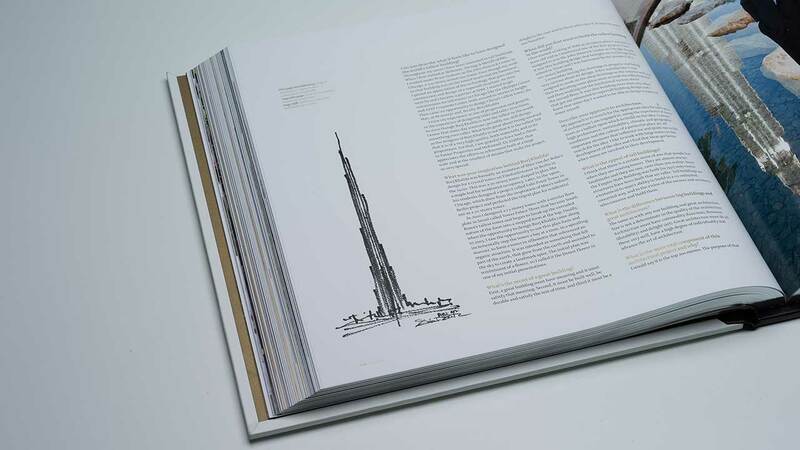 See the example of the Burj Khalifa Opus designed in conjunction with developer Emaar. An Opus can tell a story like no other format and help deliver a high profile message with positive brand benefits. The story is delivered in a high quality, emotive and powerful way, being an unprecedented and unrivalled form of publishing. As the world leader in luxury large format story telling, we are actively expanding the portfolio of ‘stories and projects’ that we undertake for our global clients. If you have a story or project, be it personal, team or corporate (local or international), if your story is special to you or you want certain people around the world to know about it, and would like to learn more about the unique opportunities and benefits that an Opus partnership and being part of the Opus collection can offer then we invite you to get in touch with us at enquries@thisisopus.com.